I have been very much interested in learning the core teachings of mysticism since I was a young boy. I didn't know that it was called Jewish mysticism but nonetheless I was attracted to its beliefs with the books and symbols I have been acquainted with from some folks who, I believe, were deeply associated with it. Please tell me, how and where should I start? Am I even allowed to study it? If I am, am I allowed to pursue this knowledge on my own do I have to to have a "guide" with me? The proper way to study Kabbalah is with prior knowledge of Tanach, Talmud, Yad HaChazaka, and Shulchan Aruch (not including the introduction books to Kabbalah- some of the Ben Ish Hai's books, some of the Ramak, a lot of Rav Ashlag, and Rav Frisch). Without a massive knowledge of the aforementioned, Kabbalah won't do you any good, quite the contrary it can confuse your belief system. For example if someone doesn't know that the Eser Sefirot are not divisions of Qudsha Berich Hu, rather something else (which seems too deep for this site), they may actually be going against the core beliefs of Judaism. Go to Chabad.org and learn Tanach with in English with Rashi 2/3 chapters a day, you will finish in a few years. Go to Chabad.org and start learning the Rambam's Mishne Torah. If you do 1 chapter a day, you will finish in about 3 years. If you do 3 chapters a day you will finish in 1 year. Whichever way you like. Go to dailygemara.com or dafyomi.org or some dafyomi site and start learning a little Talmud. By now, you will have a solid foundation, to start learning Halacha BeIyun and Gemara BeIyun. 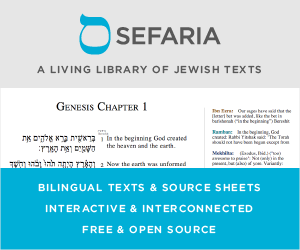 If you can read Hebrew, at Hebrewbooks.org you will find an entire set of Mishna Berura, and other poskim. If you are ashkenaz, I highly recommend Mishna Berura (they also have in English), and if you Sephardic I highly recommend Yalkut Yosef (they already have more than 15 volumes in English). Then you will learn 2/3 simanim in each if day for a few years and eventually you will be a Halachic expert. Next, you must read the Shulhan Aruch HaAri discussing the Halachot and Minhagim of the Ari. You can finish that book in a few months. Now You can start to learn the INTRODUCTORY books of Rav Ashlag, Ben Ish Hai, Rav Yaakov Hilel, Rav Frisch etc. You must become and expert in the concepts of the Kabbalah before starting to learn. After hard work, you have arrived at the point where you purchase the Kitve HaAri (the Rashash warned against other Kabbalists books, you may only learn Kabbalah from here and the Zohar according the Rashash) and the Zohar with Or HaYakar. Now you are able to start learning Kabbalah with a teacher, and with all your prior knowledge from the other books I listed you will know who is real and who is fake. IN SUMMARY: After about 7-13 years of in-depth study of Judaism etc. you can begin your journey to Kabbalah. Also, you must keep in mind the 10 do and 10 don't do at the beginning in Es Haim (5b I believe). Strongly recommend Rabbi Aryeh Kaplan's books. It is hard to tell what you mean by "the core teachings of mysticism". There is a part of Jewish tradition called "kabbala", but it is mostly reserved to be learned by people who have previous experience with other parts of Judaism, primarily Jewish Law. If you would like to pursue more knowledge in the teachings of Judaism, and are not interested in the intricate logical structure that is gemara and halacha, I would recommend looking into the Midrashic literature, since therein lies some of the greatest ethical teachings of Jewish tradition, as well as the inspiration for much of later Jewish mysticism. If you prefer your literature in English, I have no better recommendation than to study the Chumash with the accompaniment of "The Midrash Says", by R' Moshe Weissman. The teachings of Chassidus are helpful to understanding Jewish mystical texts. http://www.sichosinenglish.org/books/crown-jewels-1/index.html and http://www.sichosinenglish.org/books/crown-jewels-2/index.html "Sichos in which the Rebbe expanded the Conceptual Frontiers of Chassidic Thought From the works of the Lubavitcher Rebbe"
Not the answer you're looking for? Browse other questions tagged torah-study mysticism-kabbalah . Mystical Practices within Kabbalah: Is There a “Ceremony of Remembrance”? Does Jewish mysticism involve “feeling” G-d?